Terence Mckenna is one of the most interesting voices that I have ever heard. I wish he were still here with us on the planet. My own personal awakening process ,which has been going on all my life, was suddenly put into hyper speed in the fall of 2008 and by then Terence had left the building. But he still lives on in the digital realm known as the internet , or what I fondly call the digital consciousness of mankind. The internet has allowed the awakening process to accelerate at a pace that is off the chart. Which gets us to one of the main themes of Terence Mckenna’s work which is the “Singularity“. The singularity as Terence explains is the point when the universe reaches a point of unification , where everything connects to everything , there is no longer any separation a point of peak complexity. Terence was also well know for his experimentation of natures bounty of psychoactive plants, and he believed that when humans take psychedelics they undergo a “Mini Apocalypse” or a ” Mini Revelation “. Well you wont get any argument from me in that regards , many believe natures “Special Plants ” have played a tremendous part in the evolution of consciousness. Which makes sense , since we are infinite consciousness, putting ourselves in a very limited , finite environment down here on this planet, naturally we would want to include these plants in the game for those that want to leap ahead. Gee maybe that’s why these plants are all “Controlled Substances” by the Powers that be. I mean you don’t want your subjects starting to wake up and realize that they are infinite beings , better to lock them up for carrying around some weeds that grow everywhere. Notice they don’t care if you take any piousness plants that would kill you , that’s OK , no law against growing oleanders. Terence also explains the ” I Ching ” and the Mayan Calendar’s evolution of consciousness as a process towards greater and greater “Novelty” or complexity. No the universe is not dying as science would have us believe , it is expanding exponentially into ever increasing complexity or order. And it keeps building upon these complexities to create foundations for even greater complexities and the process is speeding up , time is speeding as this process continues. And this is what the Chinese I-Ching and the Mayan Calendar is all about, this is what Terence Mckenna is all About. Check out the books below by Terence Mckenna ! In this interview Terence discusses the I-Ching and Time. Terence also created a software and a concept known as “Time Wave Zero” which is broken down into great detail in this mini documentary. Again this deals with the concept of ever increasing Novelty to a point of singularity. 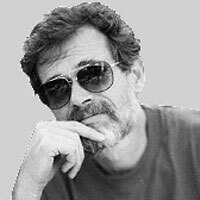 And here is classic Terence Mckenna both humorous and incredibly enlightening about the subject of “Who’s In Control , I’m so glad we have the internet other wise I would have completely missed out on the Genius that is and always will be Terence Mckenna . And another Terence Classic Capitalism VS Democracy, pure genius here!